Geeky Gadgets offers a free newsletter to our readers, you can get Geeky Gadgets articles delivered to your inbox or your favourite RSS reader on a regular basis, making sure that you are kept up to date with the latest technology and gadgets news. RSS is a great way to keep up to date with all the latest posts here at Geeky Gadgets. Rather than you having to come direct to the site each day via your bookmarks, you can have our content delivered straight to you each day exactly how you want. How do I subscribe to the Geeky Gadgets Newsletter ? You can subscribe through one of the many RSS readers available on the web, like Google Reader and many more, it is completely free and easy to use. To subscribe to Geeky Gadgets via RSS just click on the RSS Image above. Another great way to get our Free Newsletter or RSS Feed is via email. If you subscribe via email you will receive all our posts direct to your inbox everyday keeping you up to date on the latest geek gadgets and toys. Don’t worry about subscribing via email your details will never be passed on to a third party and you won’t receive any spam from us trying to sell you something. If you want to subscribe to our Free Newsletter or RSS Feed via email, just enter your email address in the box above. 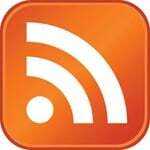 The Geeky Gadgets RSS feed may not be republished in full or part without our written consent. We do not syndicate our content to any other websites. Any websites found re-producing our RSS feed or any of our articles, may be held liable for damages, and any costs involved in having unauthorized content removed.